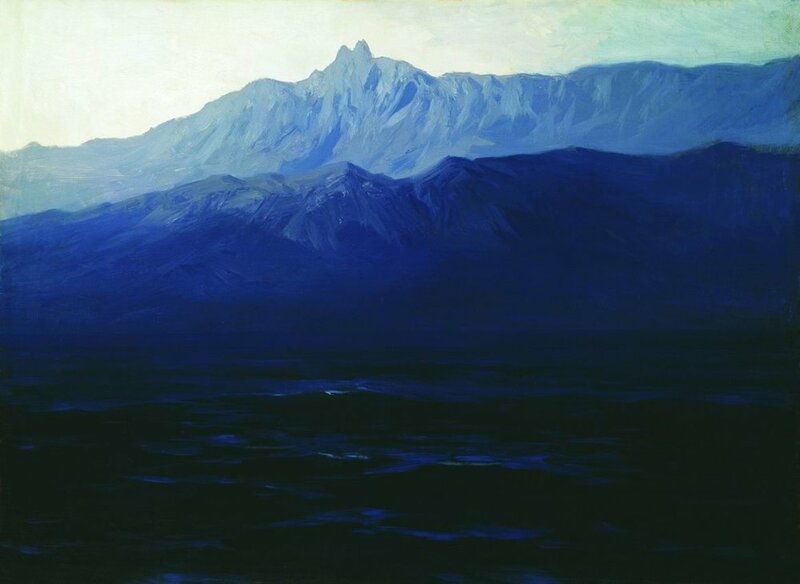 Arkhip Ivanovich Kuindzhi, Ai-Petri, Crimea, 1908. Image courtesy of The State Russian Museum. an ocean all the men dip into. lose a little bit more of my fear. allows me to suffer again tomorrow. and swallow the lathe of blue. my body at the helm of discovery. the rim of my desire. They can’t even block out the sky. and mine is blue. Thick ichor. all the hues of water. And only one may keep me alive. all the men and their blood. Arkhip Kuindzhi is considered one of the most talented Russian landscape painters of his generation. Born in Ukraine, he was associated during the second half of the 1870s with a group of Russian Realist painters known as the Wanderers. In the 1890s, he was hired to teach landscape painting at the Academy of Fine Arts but was later dismissed for sympathizing with student agitators. He ultimately founded his own painting society.